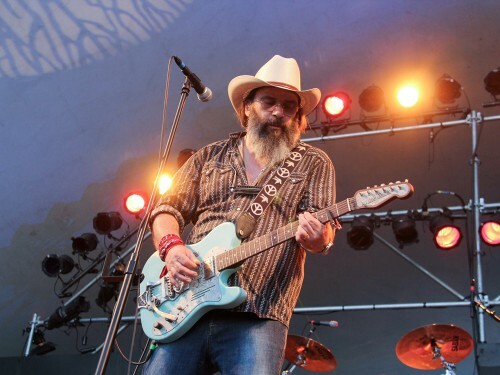 The conversational singer-songwriter and politically-minded Steve Earle chats with Tom Michael on the way to his performance hosted by Ballroom Marfa on Sunday. A Texan in his youth and a music industry veteran, Earle released his 16th studio album, Terraplane, in February. Marfa is the third stop on a nationwide tour with his band the Dukes. This entry was posted in and tagged crowley theater, Music, Singer-Songwriter, Steve Earle. Bookmark the permalink.